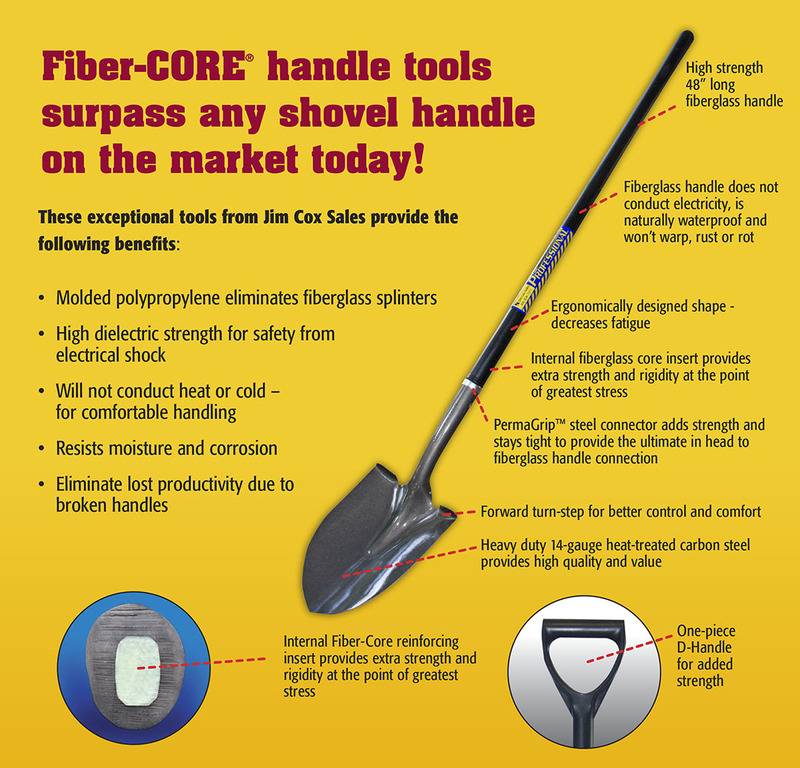 Fiber-CORE® Handle Tools Surpass any Shovel Handle on the Market Today! All Fiberglass Handle Tools purchased from Jim Cox Sales, Inc.
when there is no evidence of abuse. Your replacement tools will be shipped free of charge.